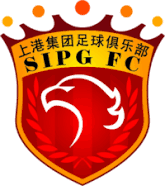 Shanghai SIPG F.C. (Chinese: ???? ; pinyin: Shàngh?i Shàngg?ng; Shanghainese pronunciation: [?a?? xa?i ?a?? ka?? ];) or SIPG FC is a professional football club that participates in the Chinese Super League under licence from the Chinese Football Association (CFA). The team is based in Xuhui, Shanghai, and their home stadium is the Shanghai Stadium, which has a seating capacity of 56,842. Their owners are the Chinese group Shanghai International Port Group (SIPG). 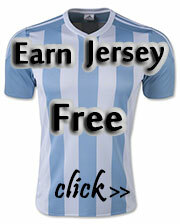 The club was founded on 25 December 2005, as Shanghai Dongya FC (Dongya, Chinese: ?? ; pinyin: D?ngyà; literally: 'East Asia") by former Chinese international footballer coach Xu Genbao. The club used graduates from Genbao Football Base, a football academy also founded by Xu, to form their first team as they made their debut in the third tier of China's football league pyramid in the 2006 league season. They worked their way up to the top tier and the highest position they have ever finished is second in the 2015 Chinese Super League season.